Kieran O’Connor, Creative Director at BOB and senior lecturer in graphic design at Kingston, tells us about his long-term admiration for Hamburg football club’s crest, which is both starkly minimal and symbolic of a strong maritime tradition in the city. I like communities, stories and small, seemingly throwaway things which reflect them. I love jumble sales. When I was eight-ish I snared a Kevin Keegan jigsaw picturing him bubblepermed (a logoform himself) and kitted out in faraway Hamburg colours – a semiotic mash-up which made me instantly part with a few pence. Back then I didn’t know semiotics was even a word, or that I’d work every day with cultural fragments in and around design. Writing this makes me think of that purchase as one of many beginnings or markers. Like Keegan, I moved to Germany at the end of my twenties. I came to decipher the Hamburg Sport-Verein crest, on second acquaintance, as startlingly different in its dynamic starkness. Nothing else is near it in a context of over-embroidered, over-inflated graphic forms on football chests. This alone draws me to it – a perennial underdog (the only German club badge unchanged since the Bundesliga’s inception) whose elemental form is, basically, untweakable. But there’s more, I think: what looks like a flag may read as one too. It’s suggested on both the internet and das Internet that its form stems from Hamburg’s maritime history as a Hanseatic port, directly echoing the Blue Peter and its message of “all on board”. If so, it would embody far more of what I aspire to as a designer in capturing heart with brevity. I’d love to confirm this as true so will finish here with an appeal for more information — from anyone out there who knows more or knows for sure. Here’s hoping Kevin gets in touch to bring this diamond full-circle. …is a graphic design studio, founded in 2002 and based in London and Zürich whose work spans brand identities, wayfinding systems, print, websites and packaging design. Clients include architectural practices Haptic and Nordic, beauty retailer Space.NK and Swiss Post. …is a German football club based in Hamburg which is the only team to have played continuously in the top tier of the German football league system since the end of World War I. Forbes states it’s among the twenty largest football clubs in the world – although they haven’t won a major trophy since the eighties. 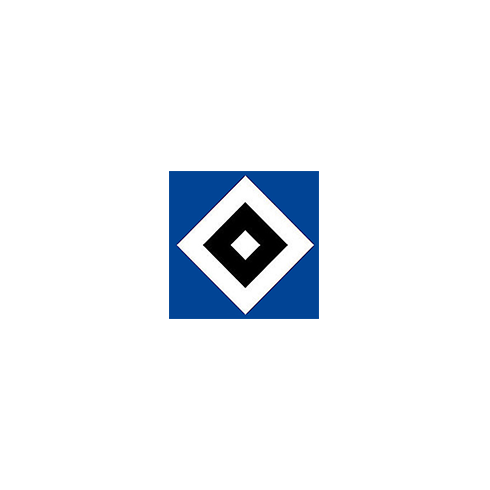 Perversely, while the club colours are officially blue, white and black the team's most common nickname is "die Rothosen" (the Red Shorts) after the white and red-coloured home kit. Being one of Germany's oldest clubs, it is also known as “der Dinosaurier” (which, unsurprisingly, translates as “the Dinosaur”).